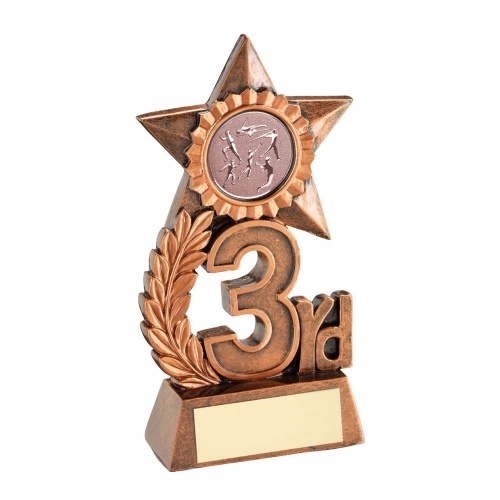 These athletics third place trophies are crafted in resin with a bronze colour finish. Standing 4.75in tall, they feature a star enclosing a 1in athletics theme centre. The star is set on a laurel leaf stem and a stylised 3rd place motif, and mounted on a base with engraving plate. They are offered here with engraving options for the base plate. Matching 1st and 2nd place athletics trophies also available.